Telstra has become the first carrier to sell Samsung's latest Galaxy Note 10.1 2014 Edition tablet in Australia, both on a range of contract plans and as an outright device. The Samsung Galaxy Note 10.1 2014 Edition tablet is now available through Telstra. Available immediately both in stores and online, the Galaxy Note 10.1 2014 Edition will be sold on four Telstra data-only plans, all over 24 months. The plans available start from $52 per month for 1GB of data ('S' plan), and range up to $107 per month for 15GB of data ('XL' plan). The hero plan appears to be the offer of 4GB of data for $57 per month, which consists of Telstra's $35 tablet plan along with a $22 per month device repayment. Telstra will also sell the Galaxy Note 10.1 2014 Edition for $768 as an outright device, which is slightly cheaper than Samsung's recommended retail price of $799. Telstra's pricing plans for the Galaxy Note 10.1 2014 Edition. The availability of the device through Telstra comes just two weeks after Samsung announced the tablet was on sale through its Sydney and Melbourne Experience Stores, and the vendor’s authorised Australian retailers. 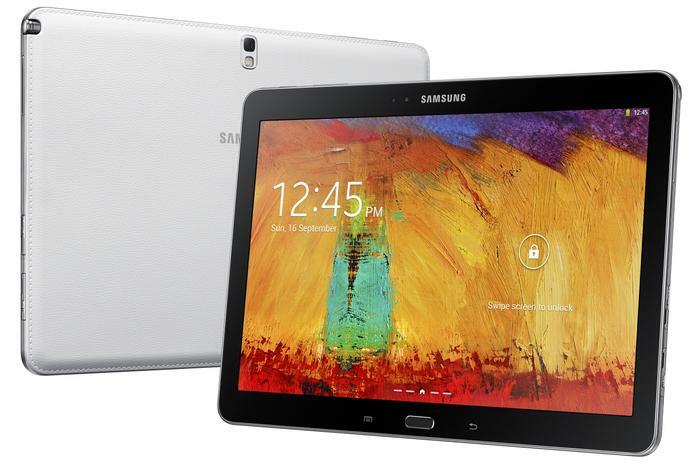 Samsung sells a Wi-Fi only version of the tablet for $649, and the Wi-Fi + 4G variant for $799. The Samsung Galaxy Note 10.1 2014 Edition was globally unveiled back in September. It boasts an upgraded, high resolution screen, and features a new design borrowed directly from the Galaxy Note 3 smartphone. The device has a super clear LCD with a high resolution of 2560x1600, is powered by a 2.3GHz quad-core Qualcomm Snapdragon 800 processor, has 3GB of RAM, and comes with 16GB of internal memory. A microSD card slot also allows for memory expansion. Other features include a 8-megapixel camera that can record 1080p video at 60fps, a non-removable 8220mAh battery, and Samsung's KNOX enterprise security software. Are you interested in the Samsung Galaxy Note 10.1 2014 Edition? What do you think of Telstra's pricing? Let us know your thoughts in the comments below!